If it disseminates pro-free market studies like a right-wing think tank, and if it courts Big Oil money like a right-wing think tank, and if it recruits conservative scholars like a right-wing think tank, then it probably is a right-wing think tank. Except it’s a graduate school within an accredited public university. Can it be both? Does the University of Calgary’s School of Public Policy (SPP) benefit from the university’s reputation for scholarship and independent research and, at the same time, promote the oil industry through its research? The SPP was set up in 2008 with a $4-million donation from James Palmer, one of Canada’s leading oil and gas lawyers. For its launch, SPP invited Condoleezza Rice, George W. Bush’s secretary of state, to be the keynote speaker at a $500-a-plate dinner for 1100 guests (raising another million dollars for the school). Despite anti-war demonstrators outside, Rice was an appropriate choice for the event because she is a member of Stanford University’s political science department and a senior fellow at the neoliberal Hoover Institution, which is affiliated with the university. It’s not quite the model Palmer and his advisers followed in Calgary, but it’s close. As well as producing industry-supportive research and benefiting, like Hoover, from its association with a prominent post-secondary institution, the School of Public Policy trains students in public policy. Its web site features two successful grads: one is principal secretary to the federal minister of finance, the other is a government-relations advisor to Suncor Energy. It’s public policy for the elites. Suspicions about the school’s purpose may have been raised when the university brought in tax specialist Jack Mintz, CEO of the C.D. Howe Institute, to head the SPP. Mintz obviously had the credentials to run a right-wing think tank, but lacked expertise in overseeing a major university unit. Like C.D. Howe, corporate influence in the SPP is heavy. The connections to one company in particular—Imperial Oil—are extensive. Mintz himself is an Imperial Oil director and a director of the Imperial Oil Foundation that doles out $6-to-$7 million a year to organizations in communities where Imperial Oil operates. Palmer was one of Canada’s top oil and gas lawyers (he died in 2013), specializing in corporate mergers and acquisitions. He was on the boards of numerous oil and gas companies and for a few years lobbied the federal government for Imperial Oil and its parent company ExxonMobil promoting their oil pipeline proposals. Imperial Oil CEO Tim Hearn had just retired and joined the SPP’s advisory council; his company donated $1 million to the school and another $200,000 several years later. Hearn’s successor, Bruce Marsh, was a featured speaker at SPP’s kick-off conference the day after Rice’s speech. Jean-Sébastien Rioux, recruited to lead the SPP’s Master’s program, had previously headed Imperial Oil’s lobbying and public relations efforts. That the school is top-heavy with fossil-fuel industry support shouldn’t be surprising given its location in Calgary and given the make-up of the university’s board of governors—the chair is a retired Enbridge executive. Other governors are from Suncor, the Canadian Energy Pipeline Association and Petrobakken Energy, while another governor sits on the boards of four oil and gas companies. The university’s president, Elizabeth Cannon, is a geomatics engineer, a director of Enbridge Income Fund Holdings and a trustee of Enbridge Income Fund, which operates the company’s oil and gas pipelines. Why might the oil industry be so interested in backing the SPP? A 2012 SPP research paper on energy literacy in Canada may hold the answer. Is the industry buying academic credibility? 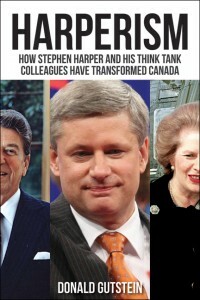 Given a line-up of conservative academics and scholars, even allowing for a scattering of centrists and progressives, it’s not surprising that SPP’s research follows a well-trodden neoliberal path: Alberta needs to cut its spending, governments need to privatize services, business taxes need to be cut, private pension plans are the route to enhanced retirement income, the mandatory long-form census is an overuse of state power, income inequality is not a bad thing, and supply management has to go. But it’s in its energy and environmental policy program that the school has delivered. In one paper written in collaboration with American oil pipeline consultants, SPP authors sound the alarm that Alberta must get its bitumen to markets in the Pacific Rim as quickly as possible, or risk losing out to competitors. Canada needs to get on with the Northern Gateway and Trans Mountain expansion projects as quickly as possible, the paper urges. Another paper trashes the idea of green jobs, calling them “illusory” because only the market can create economically efficient jobs based on “the intensity of energy use and greenhouse gas emissions per unit of output.” Never mind what the output is. The SPP goes to great lengths to downplay negative impacts of energy development. One research paper asserts that “Canada’s plentiful resources are an indisputable blessing, and those critics of federal industrial policy who compare this country to illiberal and corrupt ‘petro-states’ are being either ignorant or deceitful.” Ouch. Hardly scholarly language, though. Another paper claims the Canadian economy suffers, not from Dutch disease, but from Canadian disease. This newly diagnosed affliction is due to “Canada’s extraordinarily heavy reliance on the United States as a trading partner.” But since a third of Canadian exports to the U.S. are oil and gas products, isn’t it still Dutch disease? No, the SPP author counters. It’s perhaps “Dutch Affair,” which could become Dutch disease if left untreated. Most recently an SPP paper about “the facts” on Canada’s energy trade presents as one fact the claim that promoting energy trade “requires lowering investment barriers and creating a predictable and stable investment climate for foreign direct investment.” Some fact! Imagine if Imperial Oil and Enbridge produced these studies. It’s not as if oil companies can tell SPP researchers what conclusions to come up with. But the questions chosen to be researched and resourced and the references to previous research by other conservative scholars, all lead in one direction, a direction Big Oil and Alberta Energy can get behind.